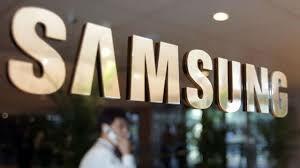 World Tech giant, Samsung Electronics has gone a milestone today, by opening what they claimed to be the world’s biggest mobile phone manufacturing plant with Indian prime minister Narendra Modi and South Korean president Moon Jae-in. The factory, was sited in Noida, a satellite city of the Indian capital Delhi, Samsung calimed that the factory can produce about 120 million smartphones a year. According to Bloomberg, Samsung says it’ll use the plant to make entry-level phones that sell for less than $100, as well as flagship devices like the Galaxy S9. There is no doubt the increase populace in India can influence a huge smartphone market with over 400 million users, with the country’s population of 1.3 billion means that there’s still a lot of undiscovered potential. 2017 smartphone shipments reached 124 million, according to figures from IDC, so this Samsung plant alone could account for a huge chunk of the market. Samsung has recently been overtaken by Xiaomi as the biggest smartphone vendor in India, however, and it’s clear that expanding production within the country is going to be essential for anyone to compete. Modi’s “Make in India” initiative has increased tariffs on imported products in categories including communications devices; mobile phones from outside India will incur a customs fee of 20 percent. Companies like Samsung and Xiaomi, which build their Indian-market phones in India, will be less affected. Even Apple, which competes exclusively at the high end of the market, has started to build phones in India — the SE has been assembled there for a while, and the company recently started local 6S production as well. India is a huge market of opportunity, but one that remains price-sensitive with extremely tight margins. There’s perhaps no stronger illustration of that than Samsung — the world’s biggest phone maker — deciding to open the world’s biggest phone factory there. ← Turn Your Computer Into Wifi- Hotspot Using These Great Features.